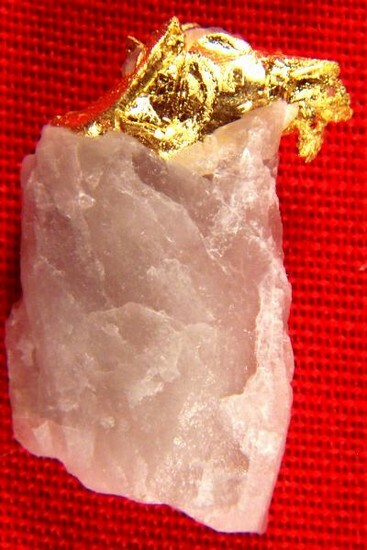 Gold Nugget in Quartz Shaped like a Wolf or Dog Head - - It's Free! This unique gold nugget in quartz from the Eagles Nest Mine Placer County, California is shaped like a Wolf or Dog Head. 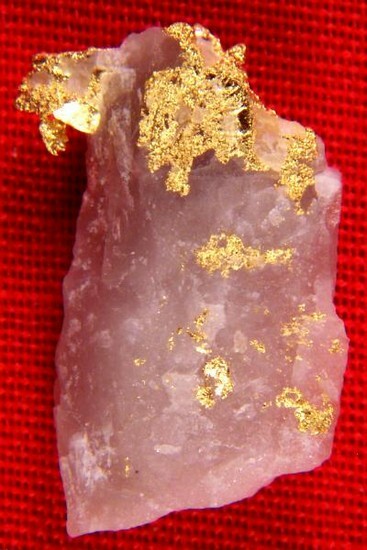 It is very rare and unusual to find gold nuggets in distinct shapes like this. It is approximately 3/4" long x 5/16" wide.